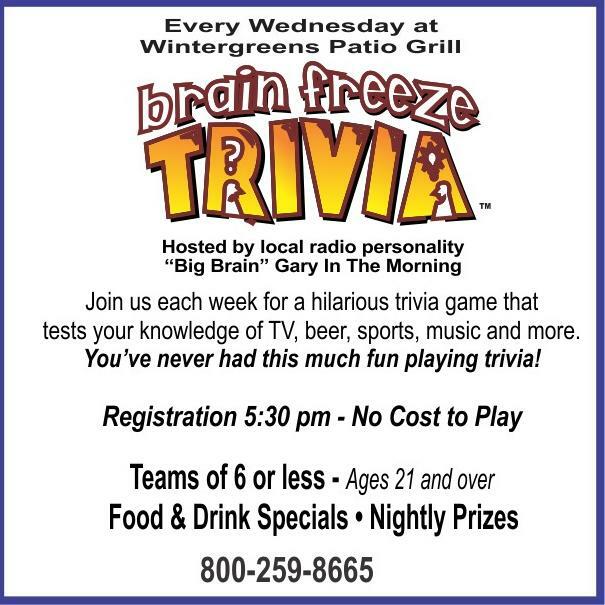 Come test your brain and try to win some prizes at Brain Freeze Trivia at Wintergreens Patio Grill. Hosted by local radio personality Gary in the Morning. Trivia is held each Wednesday and includes questions that test your knowledge on TV, beer, sports, music, and more. Teams of 6 required; ages 21 and over only. No cost to play! Registration begins at 5:30 pm and the game starts at 6:00 pm.